The development of synthetic catalysts that has parallel enzymatic efficiency in terms of rate and turnover is still a challenge in chemistry. The de novo design of biochemical system in molecular matrix is fascinating and quite challenging for future synthetic catalysis. We recently used non-covalent interaction approach to create nano-sized artificial enzymes for the size, shape, stereo and enantio-selective synthesis of small molecules and polymers. These biomimetic systems not only provide fresh insight into elucidating the catalytic mechanism of natural enzymes but also demonstrate the underlying principles in structure-based catalysis. The newly discovered chiral catalytic host can move along polymer chains in a single direction like natural enzymes, polymerases, and ribosomes. Such synthetic catalytic machines could be used for the synthesis of sequence controlled polymers as well as for data storage. Supramolecular chemistry has important medical applications, as it aids the development of new drug therapies by helping researchers to understand how medications interact at the target binding sites in the body. This area of chemistry has also aided the development of binding drugs that are able to alter the target substance and its properties, so the substrate is unable to reach its action site or trigger the usual biological response. Examples of this are the phosphate binding drug sevelamer hydrochloride, which is used to manage raised phosphate levels in advanced cases of chronic kidney disease, and the selective binding agent sugammadex, which reverses neuromuscular block brought on by vecuronium and rocuronium during anesthesia. However, supramolecular chemistry is also important for the development of drug delivery systems, which offer encapsulation and targeted release. Researchers from Lawrence Berkeley National Laboratory have recently made a development that will hopefully pave the way to more effective and safer drug delivery systems. These systems can help to reduce the unwanted side-effects associated drug therapies, which are sometimes severe enough to discourage patients from accepting medication or mean that they have to abandon treatment. As with opiate based painkillers, the untargeted nature of their actions means that some drugs may even lead to addiction. While intrathecal delivery of painkillers can help those people struggling with chronic pain that is difficult to control, it isn’t without its risks and more precise targeting of drugs with the aid of molecular delivery systems could offer more successful results without the adverse effects. 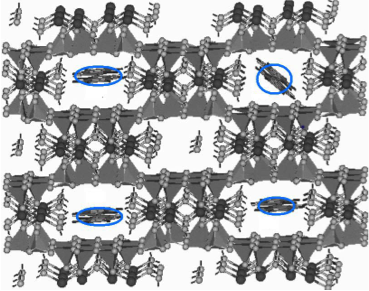 The team which previously developed peptoid nanosheets that come together where air and water meet have now created peptoid nanosheets that come together where oil and water meet. If you are not familiar with the concept of a peptoid nanosheet, this is a synthetic 2D protein structure, which typically has a thickness of just three nanometers, making it one of the thinnest organic 2D crystalline materials available. Just like natural proteins, peptoids are able to fold and curve into specific shapes, enabling them to complete precise functions. As it is possible to customize the peptoids from which they are formed, this makes the properties of these nanosheets flexible, meaning that they are a good candidate in the area of drug delivery. Additionally, the very large surface area of peptoid nanosheets makes them ideal for sensing and recognition, which is again vital for drug delivery. Another useful property for these applications is their hydrophobic core, which excludes water molecules, meaning that peptoid nanosheets have the potential to carry hydrophobic cargos, as demonstrated by research published in ACS Nano. Finally, peptoids are not as sensitive to chemical or metabolic changes as proteins, so they are less likely than natural proteins to break down, which is advantageous when using them within the body. The latest findings, which were published in the September edition of the Proceedings of theNational Academy of Sciences USA, show how it is possible for these specific and highly organized peptoid sheets to form at a water-oil interface. Spectroscopic measurements confirm that the monolayers are extremely well ordered and that it is the electrostatic action between charged molecules on the peptoid that allow the formation of this orderly structure at the surface of oil and water. The ability to create these nanosheets using oil instead of air creates new possibilities for their production6. It would also allow the development of libraries of various functionalized nanosheets and allow screening for peptoid nanosheets that have the same molecular recognition as specific proteins, which would aid future drug discoveries. While the production of peptoid nanosheets with drugs in their interior is still some way off, these findings open up the possibility of extending the complexity and functions of 2D nanomaterials, which can only aid the development of drug delivery systems. 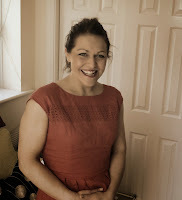 Lily Bryant is a writer working with one of only two licensed online pharmacies in the US. She is strongly interested in promoting and creating content aimed at relevant readers as part of her role in ethical healthcare business. She believes that it is important that we play a strong role in leading society towards a healthier lifestyle through the promotion of exercise and healthy diet rather than an early adoption of drug treatment. Some of the shapes depicted in ancient artefacts that were invisible to the human eye came into view with the advent of 20th century tools. Some being nano and microstructures. These tools also help chemists to see the formation of chemical bonds in real time. The rapid development of modern nano-technological tools such as the Atomic Force Microscope (AFM), Scanning Tunnelling Microscope (STM) and Laser Scanning Confocal Microscope (LSCM) allow scientists to invent, explore and validate old scientific discoveries. From the perspective of scientists involved with chemistry, it helps to manipulate atoms and molecules precisely for the fabrication of macro scale products as well as to look at the real time covalent bond formation in a single molecule. 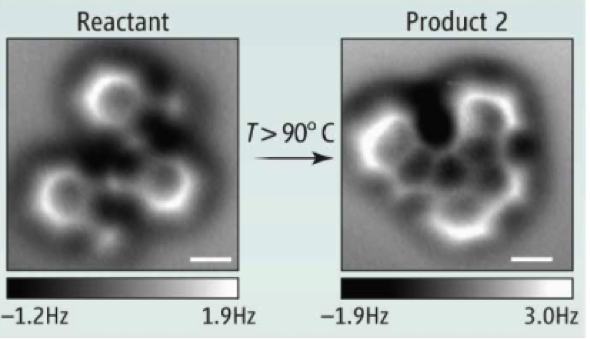 Observing chemical reactions by force microscopy at sub molecular resolution has been reported by de Oteyza et al. They reported the atomically resolved imaging of a complex molecule as it undergoes a chemical reaction on a metal surface. 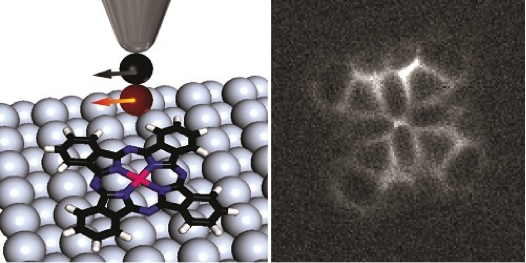 In addition to the normal covalent bond formation, very recently Wilson Ho et.al., revealed the image of hydrogen bonding in porphyrin molecules using chemically modified STM tip, enlightening us with the rapid advance in this field. These developments will have a huge impact in nanoscience especially in the field of single molecular electronics and bottom up fabrications. This new evolution of molecular nanotechnology will bring chemists, physicists, engineers and biologists together. How practical is it to prove old theoroes with morden, technologically advanced tools? Is it really possible? However, if it is indeed possible, would it be a landmark achievement that would push chemistry into a new era, in the coming years? Let me exemplify. Mayan blue is a bright blue pigment that had been used by Mayans about 2000 years ago to paint murals. The distinct feature about these murals is that the mayan-blue has withstood the wrath of weather over centuries, and refuse to fade even to this day. Whereas, on the other hand, even the most advanced of paints of today, tend to wear off after a couple of years of harsh weather and negligent maintenance. This is a phenomenon that has baffled the scientists for several years. They were able to gain some insight into this in the recent past with the help of modern nano technological tools. The Mayan dye is based on Indigo dye, which is trapped in a porous fame work of clay called palygorskite. The silicate hull forms a protective layer around the dye molecules. This prevents the dye pigments from directly interacting with the forces of nature, and other interferences such as organic solvents, acid and alkali treatment etc. It is the mayan’s ingenuity at developing the pigments for mayan blue that has set them eons beyond out reach. Reverse engineering this could help us understand its structure and shed some light into the properties of advanced hybrid materials. May be, the day is not far off, when we are able to decode this chemical phenomenon and come up with commercial paints that will last forever. Cooperative catalysis occurs when the synergic catalytic effect of at least two different entities act together, increasing the rate of a chemical reaction beyond what is possible when either of the two entities is used independently. The idea of “Cooperative Catalysis” has inspired synthetic chemists to create artificial dual activation catalysts. Such a Cooperative Catalytic pathway is often used in enzymatic catalysis. Enzymes are continue to be a source of inspiration for (designing and) developing new catalytic reactions that are high in efficiency & selectivity, and minimal waste. Urease is a dinuclear metalloenzyme which catalyzes the hydrolysis of urea into carbon-di-oxide and ammonia. 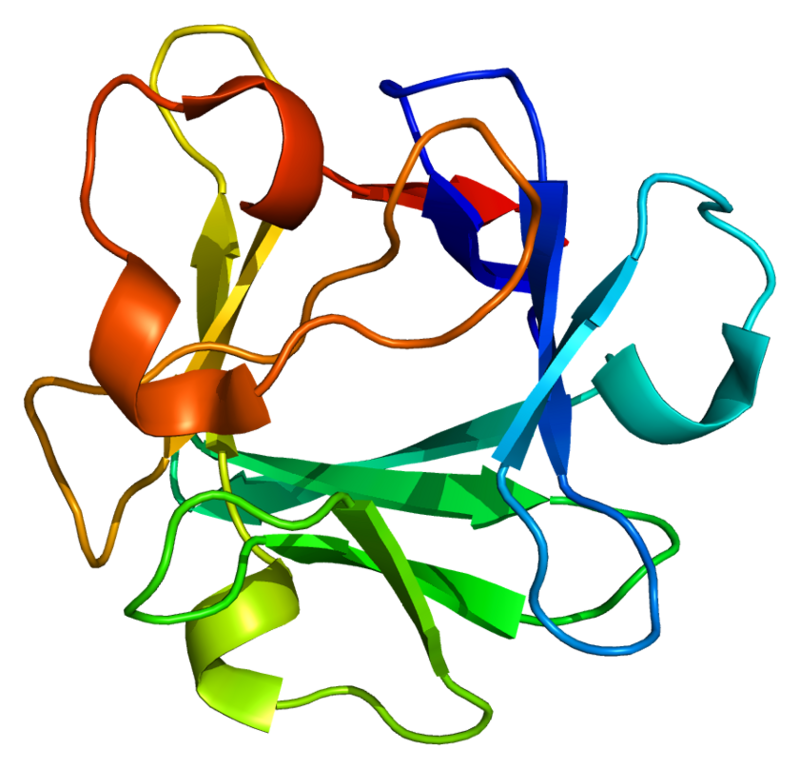 The dimeric nickel center of this enzyme is (the active site) responsible for cooperative catalysis. Urea co-ordinates with one Ni-center, thus activate the electrophile (act as Lewis Acid), whereas water coordinates with the second Ni. It is thus acidified and can be deprotonated by histidine to generate hydroxide as a nucleophile (generate nucleophile), which is, now in close to the electrophile, and, can attack in an intramolecular fashion. A similar cooperative catalytic activity with Bronsted and Lewis acidities can be generated by simultaneous incorporation of multiple elements in the silica framework is quite interesting and holds promises of unprecedented catalytic performances. We recently prepared a similar natural mimic, a bimetallic nano-porous catalystic system, which would be able to perform cooperative catalysis for the selective synthesis of ortho-prenylated phenols and 2,2-dimethyl chroman, starting from phenol and allylic alcohol. Prenylated phenols are widely distributed in nature and are known to be an important structural unit of the pharmaceutical compounds. Similarly, 2,2-dimethylchroman derivatives also exhibit broad range of interesting physiological properties, we are able to synthesis the important structural motif by using the new cooperative catalytic systems. 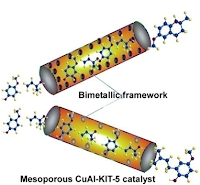 The amount of aluminum present in the frame work dictates the acidity of the catalyst, and by fine tuning the aluminum content, we can develop the catalyst with desired catalytic property. Catalyst developed in such a manner was found to be highly active and selective.. The products obtained were good and satisfactory. Additionally, the synergistic effect of the bimetals (Cu and Al) in the nanoporous catalysts controls the selectivity of the final products. 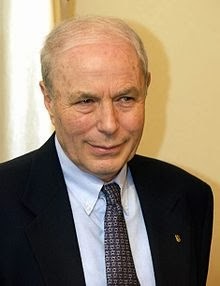 Here is a lesson from his life in science that he presented at the Lindau Nobel Meeting 2013." Find an important subject that is not yet interesting to others the big guys will get there before you! Do not go with the mainstream. Accidental observations may be the most important one. Grab your Luck. Use what ever experimental approach is needed for your objective. It may not necessarily be the most fashionable (“state-of- the- art”) technology. Of course, biochemistry will always be needed. Science should be curious driven adventure. You should have a lot of excitement and fun. Never leave bench work, and shall continues to get a lot of excitement and fun. 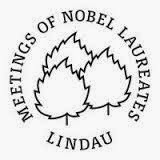 It is a great honor, not to mention my good fortune as well, to be nominated and sponsored by Department of Science and Technology, India, as one of the 23 young researchers who will be attending the 63rd Lindau Nobel Laureate Meeting as part of the Indian delegation. With much anticipation, I await to listen to the eminent speakers at the Lindau stellar, who need no elaborate introduction. The work of most of the scholars have formed a basis for my own work as well as for thousand of other scientists and students around the world. We ceaselessly draw inspiration from their work. I have long admired these scholars, but to listen to them in person would be an awe-inspiring experience, which I am sure would vouch for it. “It is the quest for knowledge that drives the scientific community.” Armed with this belief, I look forward to meet and interact with personalities of scientific excellence at close quarters. The informal setting at the Lindau Meeting, I hope, will allow us to discuss our work in a relaxed manner. I believe, this meeting will be a great platform to learn directly from the masters and to meet peers from across the globe. The Pyrrole heterocycle is an important chemical motif, found widely in pharmaceuticals, natural products, agrochemicals and advanced materials. The introduction of new methods or further the work on technical improvements in order to overcome the limitations (such as low efficiency and selectivity) found in pyrrole synthesis is still a pressing experimental challenge. The concept of “Click Chemistry” is gaining rapidly due to its high efficiency, selectivity, and yield under mild reaction conditions with a wide variety of readily available starting materials. The copper-catalyzed azide–alkyne cycloaddition (CuAAC) has emerged as the premier example of click chemistry and plays a significant role in organic synthesis. Prof. Aiwen Lei and coworkers, Wuhan University, Hubei, have developed a silver catalyst “click reaction” for the synthesis of pyrrole, by cycloaddition. This system benefits from readily-available starting materials, low catalyst loading (0.1 eq), short reaction times (2 h) and excellent chemo-selectivity. And, works for both internal and alkyl substituted terminal alkynes in the presence of many functional groups. 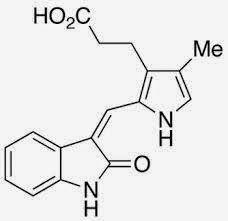 The extremely mild conditions used, makes this reaction synthetically attractive. This mechanism involves the formation of silver–acetylide complex and silver–isocyanide complex. Subsequently, the cyclo-addition between complexes would afford the key intermediate complex to be followed by protonation and tautomerization of the intermediate complex to form the desired product. The catalytic synthesis protocol tolerates a large variety of functional groups, which includes methylthio, methylsulfonyl, and ethynyl groups. Moreover, alkyl substituted terminal alkynes were also found to be suitable reaction partners. Interestingly, both Cu(II) and Cu(I) turned out to be ineffective. Carbon dioxide is abundant, non-toxic, inexpensive, and a renewable source of carbon. This makes CO2 the most coveted compound by Green Chemistry enthusiasts. Industries are always on the lookout for ways that will enable effective use of CO2 to act as synthetic building blocks for producing fuels like Methane, Di-methyl-ether and Mthanol and fine-chemicals. Furthermore, CO2 conversion could also help reduce atmospheric CO2 levels, popularly known as “Green House Gas”, and thus, protect climate. Nature has been highly successful in using CO2 as synthetic building blocks in photosynthesis. For decades, scientists have been trying to understand this phenomenon at a molecular level. Such studies have proved useful in developing biomimetic catalysts for CO2 conversion. Chlorophyll (Porphyrin molecules) in green plants helps convert incident sunlight and atmospheric CO2 into sugars (energy). So, this makes them promising target for testing activation catalysts for CO2 adsorption. Effective CO2 adsorption using man-made catalysts is indeed our end-goal. Lot of research is being conducted in this area to further the economic viability of the processes that utilize CO2. Several companies are pursuing the idea / concept of thermochemical and electrochemical conversion of CO2 into chemical feedstock or polymers. Research and development are currently focused on increasing the catalyst life and bringing down the temperature of conversion. Future research must emphasize on the rational design of highly active catalyst, in order to satisfy the economic development of CO2 conversion. But, the development of such efficient catalysts requires a complete understanding of CO2 and CO2-catalyst interactions. CO2 has strong affinity towards nucleophiles and electron-donating reagents, due to the electron deficiency of its carbonyl-carbon, If the designed catalyst has nitrogen or base-functionalty (basic), it will have an increased affinity towards CO2 (eg, Porphyrin, Grignard reagents). Such catalysts lead to the synthesis of acid-derivatives. New CO2 soluble catalysts may increase efficiency. Homogeneous catalysis in compressed CO2, may increase selectivity. Catalyst in supercritical CO2 may also increase stability. It is essential to make use of CO2, based on the unique physical properties as that of the supercritical fluid, either as a solvent, or as an anti-solvent, or reactant, or a combination of all. Photoelectrochemistry, the study of using solar energy to split CO2, is an emerging method for clean production of chemicals. It is also important to develop catalysts (Semiconducting materials) for the electrochemical conversion of CO2. Use of high-energy starting materials may ease the catalyst role. The catalyst will be more efficient if it has both CO2 adsorption and activation functionality. Eg, designer MOF that contains Lewis-base sitewill donate electron to CO2, in contrast to the Lewis-acids sites in traditional MOFs for adsorbing CO2. Computational tool such as Density Function Theory (DFT) may help improve the catalytic activity, or, find a new catalyst. Chemical reactions can also benefit from using CO2 as a mild oxidant, or as a selective source of O2 atoms because dissociation of CO2 on a catalyst-surface could produce active O2 species. The trend towards conversion of CO2 to useful chemicals and fuels will probably intensify in the near future. This could in turn lead to effective management to tackle climate change and energy crisis. “Some of the most interesting problems in science, and many of the most important facing society, need chemistry for their solution. Examples include: understanding life as a network of chemical reactions; interpreting the molecular basis of disease; global stewardship; the production, storage, and conservation of energy and water; and the management of carbon dioxide." Issues pertaining to CO2 is truly global, and a major opportunity for the development of sustainable energy options and environmental preservation. So, use of CO2 for the synthesis of useful chemicals & fuels will mark a new field in chemistry. It is important to establish university-industry-collaboration to search for new-reactions & new-catalysts in this field. To Readers: If you have experience with CO2 conversion reaction or specific catalyst, please feel free to comment. The results of a study carried out by researchers at the Center of Regenerative Medicine at Massachusetts General Hospital in Boston, USA, and the Department of Craniofacial Development and Stem Cell Biology at King’s College London, England, indicate that a cure for muscle weakening caused by old age might be on the horizon. Muscle wasting is an inevitable symptom of growing older. It can be slowed down by regularly exercising but there is no known way of reversing it at the moment. This looks set to change though, as the researchers have treated old mice with a drug that has significantly improved the ability of their aged muscle tissue to self-repair. Strenuous activity, such as doing press-ups or lifting weights, results in a small level of damage to the muscles. Stem cells are triggered to repair them by dividing and developing into new muscle fibres. This results in big arms and rippling torsos. However weakening of the muscles due to old age means that bulging biceps can soon become puny and weak. This occurs because as people grow older, their muscle loses its ability to regenerate. A study conducted by the University of Potsdam in Germany indicates that people lose just under a third of their muscle strength between the ages of fifty and seventy. The researchers at Massachusetts General Hospital and King’s College London deduced that this is due to the fact that the number of dormant stem cells in muscles decreases with age. They concluded that in mice, this was caused by excessively high levels of a protein that stimulates cells to divide, known as fibroblast growth factor 2 (FGF2). In ageing muscle, fibroblast growth factor 2 was found to be continuously awakening dormant stem cells for no reason. The stem cell supply was observed to deplete over time, meaning that an insufficient number were available when they were really needed. As a result of this, muscle regeneration ability was impaired. The researchers discovered that using a drug called SU5402 that inhibits fibroblast growth factor 2 can prevent muscle stem cell decline in aging mice. Treating the elderly rodents with this drug increased their ability to repair muscle tissue. Dr Albert Basson, who is a senior researcher at King’s College London, has stated that the findings mean that treatments that could make old muscles young again could one day be developed, thus reducing the impact of old age. He says that if such a treatment came into existence, people would be able to live more independent, mobile lives as they grew older. Senior author Dr Andrew Brack of Massachusetts General Hospital says that just as it is important for athletes to schedule recovery into the time that is taken for training, stem cells require time in which to recuperate but elderly cells recuperate less often. Scientists are yet to figure out why it is that levels of fibroblast growth factor 2 increase causing excessive stem cell activation as people get older. Research team member Kieran Jones of King’s College London says that the next step is to conduct an analysis of old muscle in humans in order to see whether or not the same mechanism is responsible for the depletion of stem cells in human muscle fibres leading to wasting and loss of mass. Once it has been confirmed that stem cells in human muscle fibres are negatively affected by fibroblast growth factor 2, work can start on introducing a drug to the market that will stop the process from taking place and consequently reduce the extent to which elderly people are immobilised and prevented from doing what they want to do by the effects of age-related muscle weakening. The average life expectancy in India has increased by over four and a half years since 1998. Now that people are living longer than they used to live for, a drug that reduces the amount to which becoming elderly negatively impacts upon the quality people’s lives would be extremely beneficial. It would mean that individuals who have reached the later stages of their lives could enjoy the time that they have left without having their independence limited by their muscles becoming increasingly weak and feeble. Fine chemicals and hydrogen production from water, carbon dioxide and solar energy is an ideal future chemical and energy source, independent of fossil reserves. The development of new functional molecular materials (catalyst) for the application in fine chemical and clean energy production using water and solar energy is fascinating and quite challenging, because the catalyst must be sufficiently efficient, stable, inexpensive and capable of harvesting light. Polymeric graphite carbon nitride (C3N4) materials are commonly available simple semiconductor photo catalyst. Being non-volatile up to 6000C even in the air with no detectable solubility or reactivity in conventional solvents, including water, alcohols, DMF, THF, diethyl ether, and toluene. Carbon nitride is considered to be extremely stable and basic in nature. It can be used as the multifunctional heterogeneous catalyst for fine chemical and pharmaceutical synthesis as well as a good organic semiconductor due to its right band gap (2.7 eV corresponding to an optical wavelength of 460 nm). Prof. Markus Antonietti and his team at Max Planck Institute of Colloids and Interfaces in Germany, have successfully split CO2 or photochemically turn water into hydrogen and oxygen using graphite carbon nitride. However, only four micromoles of hydrogen per hour produced out of the re-searchers' reaction vessel (quantum efficiency of the Pt modified CN is approximately 0.1% with irradiation of 420-460 nm). This opens the door to artificial photosynthesis and produce chemicals and energy from green house gas /solar energy. It will contribute to the prevention of global climate change. According to a report published in the Indian Journal of Dermatology, Venereology and Leprology, there are thought to be between two million and three million acne sufferers in India. Acne can lead to low self-esteem and image problems and is the scourge of teenage boys all over the country. Fortunately towards the end of 2012, researchers at the University of California, Los Angeles, and the University of Pittsburgh in the United States discovered that phages living on our skin possess the ability to kill propionibacterium acnes, which is the virus that causes it. This could be good news for those whose skin is tarnished by this condition and mean that an end is in sight. There has been a rapid increase in the promotion of drugs aimed at enhancing individuals’ physical appearances in recent years. The weight loss industry has grown at a yearly rate of over twenty-five percent, with more people than ever purchasing diet pills and fat burners, the hair loss treatment industry has been growing by one percent per year and the acne treatment industry has also seen significant growth. People’s daily lives are affected in a major way by how they look so a cure for acne could be both highly profitable for the pharmaceutical company that is responsible for it and highly beneficial to sufferers. In order to arrive at their discovery, the researchers at the two universities analysed phages and deduced that they make endolysin, which breaks down propionibacterium acnes before killing it. They also discovered that the phages shared eighty-five percent of their DNA. This is unusual for viruses and means that when used as a treatment, it would be unlikely that immune resistance would develop. Unlike antibiotics, which kill many different types of bacteria including ones that live in the gut and can have positive effects, phages are programmed to only target specific bacteria. According to director of the University of California, Los Angeles, Clinic for Acne, Rosacea and Aesthetics Dr Jenny Kim, who was one of the researchers, many acne strains are now resistant to antibiotics such as tetracycline, as they are so widely used. Drugs like Accutane are still effective but can have risky side effects, which limits their use. The researchers at the two universities have stated that phages could offer a tailored therapy that has less adverse side effects. Therefore phages could be the new form of acne medication that those inflicted with the condition have been looking for. Study co-author Graham Hatfull, who is a biotechnology professor at the University of Pittsburgh, has stated that there are two ways in which this research could be used with regards to the development of new drugs and treatments. 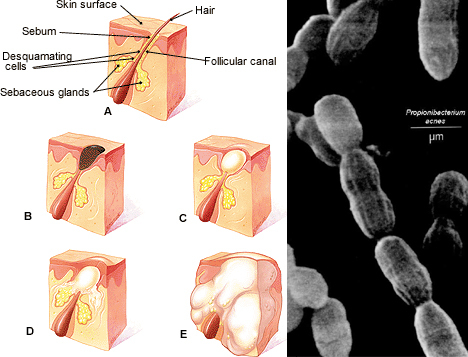 He says that phages could either be used directly as therapy for acne or phage-based components could be utilised. Professor Hatfull also says that the work that the University of California, Los Angeles, and the University of Pittsburgh have carried out has provided the world with useful information about phages and paved the way for the thinking up of potential applications for them. He points out that whilst acne is a condition that a significant percentage of the population is likely to suffer from at some point in their lives, there are still currently few effective methods for curing it. Hatfull says that harnessing a virus that naturally preys upon the bacteria that causes spots looks to be a promising means of reducing both the physical and the mental scars that acne can inflict upon individuals. It appears that being forced to endure pimples and spots could soon bee a thing of the past. The results of a study published in the Journal of Cosmetic Dermatology in 2010 demonstrate that acne can severely negatively impact upon the self-esteem of sufferers and increase the risk of them developing psychological disorders. It can make them two to three times more likely to become clinically depressed. Therefore it is high time that there was a means of treating it and phages could provide the answer. Now it is just a matter of deciding what the best way of using them to gain the optimum results in acne reduction is.